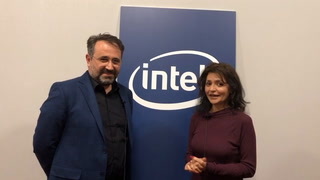 Muzaffer Beygirci, CEO, Nablet* talks about codecs, media processing technologies for broadcasting, OTT and related industries, how SVT-AV1 and Open Visual Cloud open source projects will accelerate media transformation, live from NAB Show 2019. 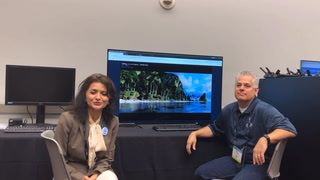 Intel’s Bruce Cherniak demos Interactive Raytracing utilizing the Intel® Rendering Framework, Scalable Video Technology and a scene from the well-known Disney movie, “Moana.” Live from NAB 2019. 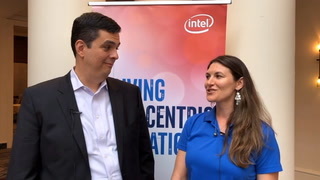 Lynn Comp, Vice President, Network Platforms Group and General Manager, Visual Cloud Division for Intel, shares how Visual Cloud is unleashing innovation in the content delivery networks for the era of Visual Cloud and 5G. 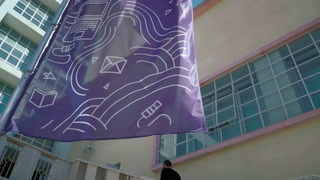 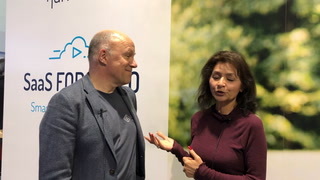 Live at the NAB Show 2019. 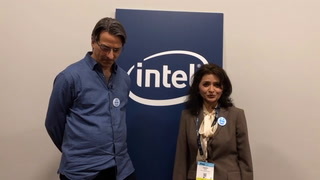 Hassene Tmar, Product Lead for SVT at Intel Corporation, explains Scalable Video Technology: a highly optimized scalable codec architecture. 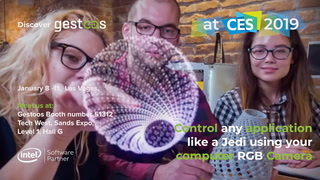 He shows live 4Kp60 encoding with latest SVT-AV1 encoder. 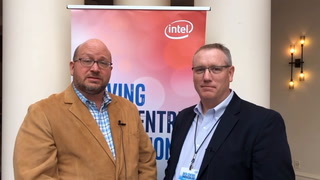 Live from the NAB Show 2019. 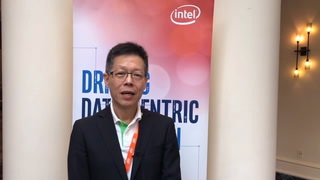 Mike Yang, President at Quanta Cloud Technolgy* (QCT*) discusses advancements on the Network edge with Gen 2 Intel® Xeon® Scalable processors with content delivery network workloads live from Intel's Data Centric Innovation Day in San Francisco. 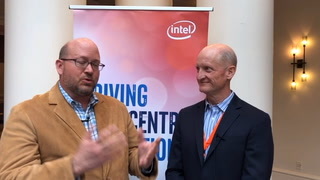 Timothy Poor, VP Application Engineering at Equus Compute Solutions* shares their development of an optimized platform for visual cloud and content delivery networks base on the Gen 2 Intel® Xeon® Scalable processor. 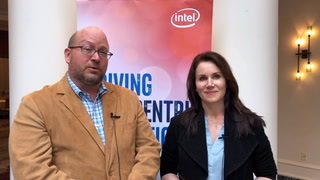 Patty Kummrow, VP in the Data Center Group and the GM of the Ethernet Networking Division at Intel Corporation discusses the diversity of news related to connectivity and the Intel® Ethernet 800 Series. 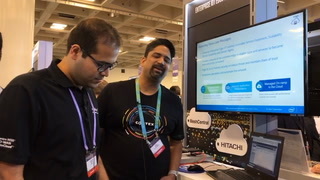 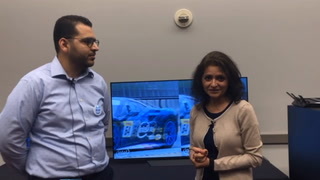 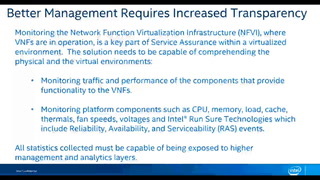 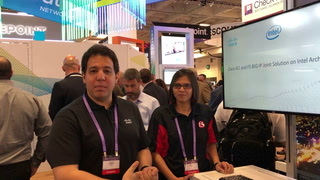 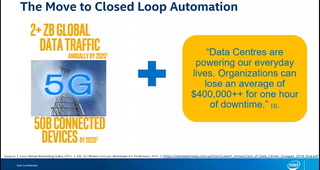 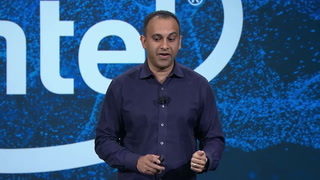 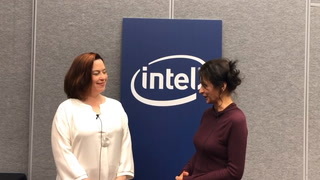 Ahmed Dessouki, Manager, Product Management, DCN, Cisco* and Payal Singh, Principle Solution Engineer, F5 Networks*, discusses Intent Based Networking (IBN) with Cisco ACI* and F5 BIG-IP* SDN Solutions on Intel Architecture, live from RSAC 2019.